Then Paul took the men, and the next day, purifying himself along with them, went into the temple giving notice of the completion of the days of purification, until the sacrifice was offered for each one of them. You’re probably wondering what those different portions of scripture have in common. Actually, relative to my experiences last Sunday, quite a lot. The topic of both the sermon and the Sunday school class at church was Acts 21:15-26. It was a source of a great deal of frustration for me, but I have to be thankful to Pastor Randy for cluing me in about something first. He reminded his audience of the great accomplishments of the Jewish people and Israel across the centuries, and made sure that we all got the idea that God didn’t do away with the Old Testament (Tanakh), the nation of Israel, and the Jewish people. He also let us know that, in the debate over whether or not Paul did the right thing by paying the expenses of the four men under a vow at the Temple and offering sacrifices, over half of those historic and modern scholars upon whom Pastor depends for his research strongly believe that not only did Paul make a mistake, but that he sinned by participating in the Temple rites. Fortunately, Pastor doesn’t agree with that opinion (and neither do I) and in listening to various people conversing after the sermon, I was relieved to hear that most (but not all) of the people around me have the same opinion as Pastor. But Pastor kept repeating that offering sacrifices doesn’t atone for sins, it never did. This reminded me of time after time during our previous private discussions, when talking about the continuation of Torah observance for the Jewish people including Jewish believers, he kept stressing the same point. However, while listening to the sermon, I had something of a minor revelation similar to the one that resulted in me writing The Two-Thousand Year Old Christian Mistake. You see, I agree with Pastor that the sacrifices in and of themselves have no power to atone for sins and to save a human being from the consequences of God’s justice. We are only saved through faith and out of that faith, we obey God. That’s what Paul and every other Jew who sincerely participated in the Temple rituals was doing. Obeying God out of faith. So why beat up the Torah by saying it doesn’t save when I fully agree that simple, mechanical performance of the mitzvot with no intent or faith behind it is just going through the motions? This has alway puzzled me because circumcision (that is, the physical act of being circumcised and then observing the Torah commandments) isn’t what saves a person, and these gentlemen from Judea should have known that. Of course, they should have known that. But that’s not what they meant. When an Evangelical Christian reads that verse he or she thinks the Jews involved are saying that performing the mitzvot including the sacrifices in the Temple is what saves. But they were never meant to save. They are the conditions of the covenant relationship with God and that relationship in covenant, through faith, is what saves. The big hang up Christians have with the Torah is because of a misunderstanding of what the folks they call “Judaizers” were saying (Nanos more aptly refers to them as “influencers” since New Testament scholars can’t seem to agree on exactly who these people were. See The Irony of Galatians). The “influencers” Paul refers to in his epistle to the Galatians and the Jews we hear from in Acts 15:1 weren’t saying that obeying the mitzvot and making the various sacrifices at the Temple would save the Gentile. They were saying that the Gentiles needed to be in a covenant relationship with God in order to be saved. Especially for non-Jesus-believing Jews, the New Covenant times weren’t even on the horizon. How could they be? From their perspective, Messiah had not yet come. Thus, the Gentiles had no standing before God unless they became proselytes and entered into the Sinai covenant with God as converts to Judaism. Being a God-fearing Gentile might have been a step in the right direction, but it wasn’t a covenant relationship. But Paul and many of the disciples of Yeshua (Jesus) knew that the New Covenant had been inaugurated with the death and resurrection of the Master, so through faith in Messiah, the Gentiles could be grafted in and benefit from the blessings of that covenant, which had begun to enter the world but had not yet completely arrived. If you miss the distinction, that it’s being in a covenant relationship with God through faith that saves rather than just the literal behaviors of the conditions of a covenant, you completely misunderstand the Jews advocating for Gentile conversion. These “Judaizers” or “Influencers” weren’t bad, awful, evil people. They may have had genuine concern for the Gentiles who had attached themselves to the Jewish religious movement of “the Way”. These Jews, some of whom could have been Jesus-believers with an incomplete understanding of the New Covenant blessings upon the Gentiles, may have been authentically puzzled why Paul was treating the Gentiles as if they were equal co-participants, both socially and in covenant, in Jewish religious life. They may have felt that the Gentiles couldn’t participate in covenant blessings without conversion, because they didn’t see any other way to reconcile the Gentiles to God. Paul understood, but his viewpoint wasn’t always terribly popular with Jewish populations who didn’t apprehend his vision (figuratively and literally). Once you figure it out, you realize the issue was never that the mitzvot saved, it was Covenant relationship. It always has been and it’s still the issue we struggle to comprehend today. Jews are the focus of almost all of the covenants we see in the Bible including the Sinai and New Covenants. Gentiles are included under a single provision of the Abrahamic covenant and by faith in Jesus, in the blessings of the New Covenant. And that’s what I got out of last Sunday’s sermon, not that Pastor explained it that way, but by his preaching, I finally made the connection. Things didn’t go so well in Sunday school. I was determined to make only one statement in class. I could have talked all day long about the Christian traditions that were being imposed on the text resulting in quite a few (in my opinion) erroneous assumptions being made by most of my classmates. One fellow pointblank told me Paul did sin because when Jesus was crucified, the sacrifices ended. I disagreed of course, and gave him a mini-explanation of what the Epistle to the Hebrews was really about, but I knew it was for nothing. 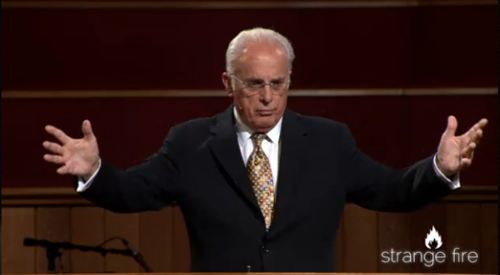 My Sunday school teacher heavily favors the sermons of John MacArthur and it is MacArthur’s opinion that the practice of Judaism by Jesus-believing Jews as we see it in the Book of Acts, was a transitional period between Jewish practice being within the will of God, and it being replaced by the grace of Jesus Christ, effectively extinguishing the “ceremonial laws” in the Torah. But there’s an apparent contradiction. In Acts, Luke depicts Paul as very pro-Torah, pro-Temple, pro-Jewish people, and pro-Judaism. 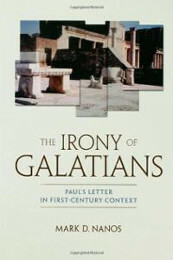 However, a number of Paul’s letters, principally Galatians, seem to cast Paul in the role of being anti-Torah. That was the foundation for my comment in class when the issue of Romans 14 and the identity of the “weak” and “strong” (basing my opinion on Nanos in The Mystery of Romans) came up. It was like I was talking in a language no one in the room understood. I saw quite a few blank stares, like no one could figure out what the heck I was talking about. One fellow, who is quite intelligent and well-read (and who holds a highly traditional Evangelical Christian view on the Bible) referenced Romans 14:5-6 to explain that it was (at that time) OK to either observe the Law or not observe the Law as long as it was for the sake of the Lord. In other words, no one even understood my question and so they had no idea they had completely missed my point. I let it go rather than continue to be a source of confusion and aggravation and after all, teacher said this was a lesson about unity. Unity. That totally baffled me until I realized he meant Paul agreed to undergo the Temple ritual and humble himself to James and the Elders in Jerusalem as kind of “going along to get along.” They saw Paul as compromising in order to keep the peace, rather than standing his ground about the lack of validity in Jewish tradition, custom, and observance. There was no way anyone in the classroom could have possibly imagined that Paul might have wanted to offer sacrifices and looked forward to participating in the Temple ritual, especially during the Holy Festival of Shavuot (although they all acknowledged why Paul should have totally been jazzed about Pentecost…the Acts 2 Pentecost, not the Greek word for the Jewish moed). I spent the rest of the class time in a forced silence, so I was in a “terrific” mood when I left church and made the ten or fifteen minute drive back home. When I walked in the kitchen trolling for lunch, my wife made the mistake of asking me how church went, and I made the mistake of telling her. The translation I found at Chabad.org is a bit different than you’ll find in most Christian Bibles, and as I understand it, implies that God created woman to oppose her husband under certain circumstances. Women can often cut through the fog that surrounds a man’s mind and get to the core of a matter, whether we like it or not. My wife told me I was being arrogant if I thought I was going to change anyone’s mind, especially if that was any part of the reason I was going to church. I got mad at first, but spending some time in the backyard pulling weeds gave me time to think. I have been arrogant. I’ve walked into someone else’s religious and social space with the assumption that I had anything to offer them; that I had anything they wanted at all. As it turns out, I have nothing to offer and certainly nothing anyone at church wants to hear or learn. I may think what I’m learning and how I understand the Bible is worthwhile and illuminating, but obviously I’m in a world of people who don’t see things like I do. I kind of thought that was the point, but I’m realizing I’ve been wrong. I have no right to impose my point of view or to disagree with the people who are running the show at church. It’s their church. I’m just a glorified guest. I’m not a member and I couldn’t become a member with my current perspectives and attitudes. My Sunday school teacher’s emphasis on unity is really the Church’s (big “C”) attitude about community. People must agree with each other for the sake of peace and unity because Christians believe certain things. Whenever I make some sort of theological statement that conflicts with how my wife sees her convictions, she tells me “what Jews believe,” which largely comes from the local Chabad Rabbi. He tells her what Jews believe and helps orient her to a Jewish religious perspective (not that she in any way is Orthodox). So I should have realized there are certain things Christians believe too, and making some sort of theological statement that conflicts with how people in Sunday school see their convictions elicits the same response from them as I get from my spouse. I have been arrogant, and naive, and just plain stupid. I feel like an idiot and I feel ashamed. But there’s a light you shine to help people see the path, and then there’s the really bright, annoying light you shine in people’s faces until they yell at you to turn the darn thing off. If the “Tent of David” were inflatable, then I’d be guilty of letting at least some of the air out. I certainly feel deflated. The Internet went out at my home on Sunday afternoon (long story) so I wasn’t able to write this blog post when my emotions were running high. That’s a good thing. I’ve had a day or so to mull things over and to cool off. I know I disagree with most (or all) of the people at church about many things, and I have good reasons (whether anyone agrees with those reasons or not) why I believe what I do, but the people around me every Sunday morning are under no obligation whatsoever to care what I think and feel, particularly when it flies in the face of their Biblical and world view. So I’ve got one of three options as I see it: Do what I’m doing now and continue to be an irritant not to mention desecrating the name of God, continue to go to church while keeping my big mouth shut and not participating in discussions, or leaving church and let bygones be bygones. Frankly, in the eighteen months or so I’ve been going, I may have contributed a few positive things in church, but for the most part, no one knows what to do with me, or if they’ve made up their minds (and some have), they know they want nothing to do with me. 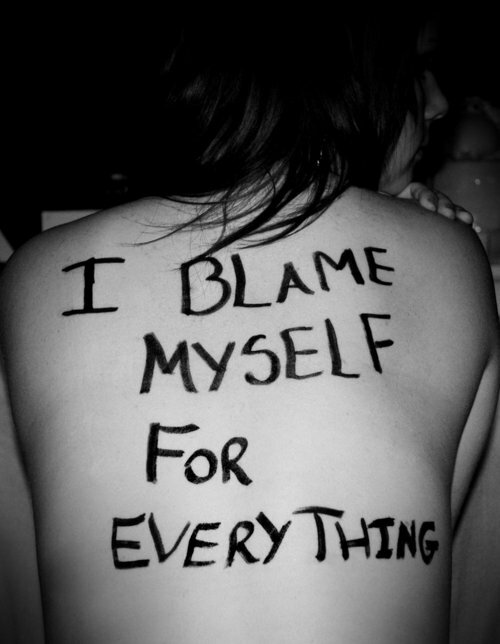 I’ve ruined more relationships, both face-to-face and online, by spewing my opinions and putting people off. I’ve been letting the air out of David’s Tent or maybe I’ve been taking tools of mass destruction to it. I was supposed to be inflating it, constructing it, building it up, but now the thing is beginning to collapse around my ears. Maybe it should collapse around my mouth. No, it’s not my mouth, it’s my attitude. I just got so caught up in what I know, that I forgot about what’s most important. Any dispute which is for the sake of Heaven will ultimately endure, and one which is not for the sake of Heaven will not ultimately endure. James, it’s hard for me to read this. It’s hard for me to imagine that the person on the other side of this blog, that writes so intelligently, eloquently, articulately, and with such depth, is a real person, with real challenges similar to mine. Thank you for your openness. I faced a similar decision several months ago. Unlike where you are now, I was very new in my revelation that “The Church” did not replace Israel and that the scriptures were written on a Hebraic foundation that was never intended to be excavated and rebuilt into a new religion. I was angry and confused. How could I have been lead astray? How could all of these people disagree and not see the truth? I was ready to leave. And leaving that church meant no church. In this small, rural community there is Lutheran, Catholic, and the church I attend, which is called Baptist, but really houses all of the non-Lutheran and non-Catholic followers from the area. Either leave and drive 30 miles to find something similar, or 150 miles to a major city to find something different. Or stay and figure it out. I was ready to leave. Until God reminded me that it Satan delights in dissension. He loves to separate and isolate people. That’s when he gets his best work done. God reminded me of scriptural passages that people didn’t agree 2,000 years ago (and longer) yet still managed to worship him along side each other. The Sadducees didn’t believe in eternal life or resurrection. Peter and Paul had the infamous “Antioch Event” yet, they must have reconciled or at least come to mutual respect because Peter wrote a great statement of respect towards Paul at the end of his letter we call 2 Peter. We know that James and Paul didn’t see eye to eye. Their letters read almost as opposing thoughts. Like your wife, mine told me something very similar. She asked me why I felt I had to win every argument and asked why I felt it was my job to convince everyone I they were wrong. She asked me if it was worth damaging relationships, losing the opportunity to have discussions about our differences. Ultimately I stayed. And in a twist of fate, ended up being asked to teach an adult Sunday school class, which I did, and taught Galatians from a “Torah observant, pro-Jewish” perspective. Many did not understand what I had to say, but we had some great discussions. A couple of people learned a lot and I’d like to think started a new journey in some way. Listen to God and follow His direction. If you stay, work on relationships. Share the common God you both worship. Don’t expect to change everyone’s mind. Maybe you’ll just introduce someone to their own journey. Wow this was a good blog !! And I read them almost every day always interesting and enlightening!! I haven’t been to church in over a year now last time I went God told me to leave because of my thinking. I’ve had people tell me I should be going to church. But the time spent away I have done more studies and have learnt more on my own than at church in the 15 years I went. Right or wrong God knows my heart and He knows yours!!! So you still view yourself as a stranger in a strange land, a “glorified guest” (or maybe not so glorified). Certainly I can understand why. But it does raise the question about “Whose religious space is it anyway?” Does some majority own it? Does some officially registered denominational organization own it? One test of ownership is to find the source of the money. It’s hard for an individual to exercise ownership of even a small piece of the environment (say, enough to take a stand in) if everyone around even that little piece is ready to deny its validity. I didn’t detect in the above any sense that you’ve found even one comrade with whom to commiserate in disappointment or to rejoice when someone sees a glimmer of light. You’ve previously indicated that your talks with the Pastor are largely “across a fence” as it were, with neither of you of a mind to cross into the other’s territory. Are you, in fact, arrogant; or are you merely sticking to your guns about being right? Going along to get along sounds like a great idea until you realize it means compromising the pursuit of life and enlightenment rather than death and destruction. The entire exercise of Jewish Rav-Yeshua messianism is one of insisting to pursue a long-lost rightness that others have eschewed. A popular outlook it ain’t, if you look at the big picture, even granted the immense interest and curiosity that has engendered several related streams of social movement. But it seems to me that you may need to concentrate on finding a study partner (at least one) within your chosen religious environment, with whom you can argue through all these points in the same way you do with this blog, except with more specific application to your specific local challenges. If you can achieve that step, perhaps you both could proceed to find a third, so that your “three-fold cord” may be not so easily broken (viz: Eccl.4:12). However, the Christian world at large doesn’t hesitate to denigrate Judaism. I am a complete pessimist on the whole Tent of David philosophy. If, as I suspect, most of the Christian world is averse to the Torah and we just sit silently in the pews because we have no alternative, then why bother studying any of this at all? ‘With much knowledge comes much sorrow.’ It would be better to be blissfully ignorant. That ain’t me. I would rather go out an start my own messianic fellowship than surrender for the sake of peace. The best blog is a humble and contrite heart. One that is exposed and open to all. Humility is God’s most used tool. I think it safe to say we have all been there. I applaud you for your desire to be open and honest with God and us readers. This is where the rubber meets the road, where you are moved and rubbed in places you didn’t want to remember you had. I love reading your thoughts here. You have a great way of delving into topics in depth. I too have gone through a similar time, more than once, about why I went to fellowship within the church. So I can completely empathize. For me the situation is reverse from you, my wife was raised in the church and I was raised reform. Although she has come to learn her family is indeed Jewish, having converted to catholicism (crypto-Jews), her immediate family became pentecostal/charismatic. She was raised in the chruch pews, I was raised in a Jewish community from NY. That said, your post reminded me of one of my own I made a few years back. I thought maybe you might find some common suffering, and comfort in my experience. Hang in there brother, it gets worse before it gets better. 🙂 But Hope, Faith, and Love will win the day. I pray for your immediate refreshing, and thank God for displaying to us just how much he is working with you. Your blog is a window to your soul, a portal where we can see the inner workings of your heart, where God is working on you. It’s a wonderous vision to behold. Like seeing a father lovingly help his son, picking him up and making him capable to do what he desires be done. Good Job James, Keep up God’s good work within you! The reward is great! I feel your frustration, thank you for writing this. Your honesty helps hold a mirror up to all of us who struggle with our pride and need to be heard, and to be right. Understanding God, the Bible, Jesus, Paul, the covenants etc. from a Jewish perspective was, for me, like someone turning on a bright light in a room that I’d been in often, but was always dimly lit and therefore wasn’t able to comprehended all the elements, colors, or spacial distribution within. It’s so exciting that there’s literally no going back, and you know that all who love the LORD will be blessed if they’d just listen, so it’s a shock when they don’t; it’s a language that’s unfamiliar to them. As a lifelong Evangelical (Southern Baptist), I remember begging God to show me Himself and Jesus unfiltered by the 20-21st century, American traditions that are always in place. Yet, even as He graciously granted that prayer and a more authentic understanding began to emerge, I resisted some of it because it just didn’t “fit.” I had so much study ahead (and still do) to overcome those ingrained ideas, and I’m (like you) intimately invested (that is, married to a Jew). As I’ve told my daughter, this is a remarkable transitional period in history, and I believe God calls out only those who He has equipped to handle the great tension that arises from having a foot in both worlds, effectively communicating truth to those who don’t know they need to hear it. That usually translates to those who are independent thinkers, perhaps to some degree artists, and somewhat temperamental. But make no mistake, you – we – are on a divine mission, and it reminds me of great heros such as William Wilberforce (if you haven’t seen “Amazing Grace” or read Eric Metaxas’ book by the same name, you should, there’re are many parallels) who was utterly alone and yet, changed the world. But it didn’t happen overnight. @Terry: I’m all too real and human, I’m afraid. When I was new to all of this, I put my foot in my mouth plenty of times. I had hoped that the passage of time would equal maturity, but I guess that’s not exactly true in my case. I can go off half-cocked given a half-good reason. You bring up a good point regarding the differences between the Pharisees and the Sadducees, but in the first century, even radically different streams of Judaism shared a core set of beliefs. In some ways, the different modern religious Judaisms have less in common than the ancient Judaisms. I understand what you’re saying about dissension and isolation, but I’m also concerned that my very presence in church sows more seeds of dissension than if I just left them alone to their own theology and doctrine. The chances of me being asked to teach anything, should I stay, are zero to none for the exact reasons I’ve outlined in today’s blog. As far as listening to God is concerned, I’m still waiting for my own “voices” to stop buzzing in my head to I can make out what he’s saying. @Monique: Thanks. Part of what drove me back to church was the understanding that as a believer, I needed to be in fellowship with other believers. I just don’t know if it’s going to work out or not. @PL: Ok, “glorified” was pretty conceited on my part. I admit it. Just trying to turn a phrase. I suppose you could say I was sticking to my guns, or perhaps tilting at windmills. Now as a Gentile Christian in a Gentile Christian religious space, I suppose I can claim somewhat more ownership, if for no other reason, on ethnic grounds alone, but because I’m such a monkey wrench in the machine, I’m just as alien in church as I would be in a lone Gentile in a synagogue. I do have a “partner,” though not in church, that I see for coffee every so many weeks. We don’t study together, but his views are very valuable to me and he is a very calm spirit. He’s one of the few people in my face-to-face world who can actually challenge me. I suspect he’ll do so about this situation during our next meeting. @Steve: To be fair, this church doesn’t imagine that it is denigrating Judaism in any way, and Pastor was quite clear from the pulpit that the Jewish people are good, do have a role in God’s future plans, and that God has not done way with the (properly interpreted) Torah. That said, they can’t imagine opposing the current application of the Sinai covenant and the conditions of that covenant recorded in the Torah as being denigrating of Jewish people and of Judaism. It’s not malicious, it’s more like they’re totally blind to the impact of their stance. I think the mistake many of us make is that we leave church in order to start our own Messianic fellowship. First of all, given my beliefs, no Messianic fellowship as such is really valid without Messianic Jewish leadership at it core. A bunch of Christians who get together to form a Messianic fellowship, often end up as a Hebrew Roots group. I’m not even sure how Messianic Gentiles would organize outside of a Messianic Jewish context (which I don’t have and couldn’t avail myself to if I did). Also, starting a Messianic fellowship is like starting a small business. Most of them fail in short order, and I’m not “Messianic guru” to be leading such a thing. What drives me is the desire to teach people something new and revolutionary (or evolutionary), not to merely preach to the choir (which ironically, seems to be what most Evangelicals want to do in Sunday school…but then I’m being arrogant again even saying that…tough habit to break). I’m not going to make a hasty decision. Patience sometimes reveals the solution, or at least the will to go on. @Shimshon: I should have remembered to be humble when I was in Sunday school. It took my missus to remind me of that. Thanks for the support and the link. I’ll read it in a bit. @Sojourning: I agree, once you start down the path we mutually walk, there is no going back. There’s no reason too, because it would feel too much like retreating into the past, like a person who has learned calculus desiring to return to basic arithmetic as their only method of calculation. @Shimshon: I read your blog post. Yes, the situation is very similar, though I’m probably too close to my own situation to be able to see past it, yet. Your writing was wonderful and such a clear explanation of several things that I so wish many of my friends and neighbors weren’t afraid to consider. You’ve poured your “heart and soul” into this “Tent of David” calling, and it’s exhausting to say the least! But what you don’t know is how your input works in the minds of the listeners over time, and in their conversations with others where your words bounce around in the thoughts of people who weren’t present at the original conversation. The thing is, you probably will never know. G-d is a big G-d and He’s got everything under control. Sometimes we imagine that we should see the inner workings of His plans, at least once in a while, but we’re not privy to such things. We have no idea what He is doing in the lives of the people at the church because you are there, and on the other side of the coin we often have no idea what He is doing in our lives while we’re walking that lonely and difficult road. And if you choose to leave, He’ll still have things under control there as well as in your own world. 🙂 You’ve been doing what you felt you were supposed to be doing according to His grand scheme of things – and you’ve been correct in doing so. Funny you should post this today. Yesterday I decided which church to begin attending. I, too, am tired of being all alone in the wilderness and longing for a community of faith to walk with, even if I’d have to walk along the outside edge. But my decision to go isn’t dressed up in naiveté. 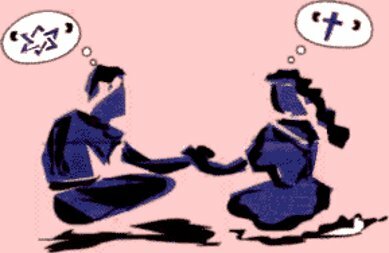 The sharing of your experiences is a tremendous help, but our years trying to stay connected to various local groups have also been helpful. Even so, after 10 years of doing the things we’ve been doing we have ONE woman who has continued to study with us for the past 4 years. 10 years spent for ONE woman, not so much her husband, and her daughter ditched us about a year ago. But do you know where I met her? At a women’s Bible study about 5 years ago when I got tired of not having women in my life and went to a short study with a woman I hardly knew at the time. Our one lone study buddy today was the leader of that women’s group. She had been praying for the Father to show her more about the feasts and to help her understand what He was talking about in the Scriptures when He spoke of the festivals – as if she should know all about them. The first two years trying to study with her were – um, difficult and frustrating. I say this to let you know that sometimes our efforts produce small results, at least small in our eyes. I am confident that the Father knows how to sort things out and He seems to be in the process of doing so in our generation. I also know that the ones He has sent in every generation to bring a message, or to live a life before the people that wasn’t exactly popular have more often than not had a rough go. Take courage my friend. You’ve done well and you don’t even know how or where. And that’s okay. I do agree, though, that maybe a different group of people to study with on Sunday mornings might be a change worth considering. And with the lessons you’ve learned here at this church, you’re better prepared to make friends somewhere else. That’s something to consider, Lisa. If only one person is positively influenced in church by something I’ve said, maybe that’s what God had in mind all along. James, that is something that could very well happen – but it is equally possible that you will never know it has happened. I can look back and see several people who had an effect on my life who never knew the result of their words and deeds. The Christian school friends I turned away from to join “the wrong crowd”. Their words lasted long after I’d left school. A “chance” encounter on a beach with a man who tried to tell my friend some good news (about Jesus) and probably didn’t notice me as I pretended to ignore him. The stranger who handed me a leaflet that eventually led me to a certain church at just the right time. I could list more, but some of the situations get quite complicated. Interestingly enough, I’ve made that same point to others in the past. How would you ever know since often, we’re just a link in the chain? Is that what God means by “faith”? Perhaps the reason it took me 8 years, and you 18 months, is that the fellowship I was a part of was less focused on doctrine, and much more accommodating in the sense of respecting others who did things differently. In addition, pastor wasn’t a fan of MacArthur or any Christian celebrity. I was very surprised to hear about the idea that Paul was wrong and sinned, as they certainly wouldn’t say that about anything else, especially his view on, “the law,” and the role of women. I think both of us made a similar error, and part of the problem is that we received wrong information. But I am not sure they believed they were providing wrong information. If you were accepted with the understanding that they would change your mind over time, then you weren’t privy to this. Perhaps they really perceive of themselves as open-minded, willing to listen to others, desiring to learn new things, when they are not. Religion is not science, where practitioners are happy to receive new information, new discoveries and be proven wrong. They want a safe place only composed of those in agreement. But their doctrine tells them they must be kind and loving. So, they are pulled in two directions. Your wife is also being indoctrinated by Chabad. Since she likely isn’t aware of all the various opinions within Judaism, even those within Orthodoxy, it is easy for someone to come along and say, “what Jews believe.” Just be thankful she isn’t learning from Tovia Singer. However, I understand Chabad populates Yad L’achim, the enforcement arm of the Orthodox, so don’t trust the good cop/bad cop thing. Chabad in the diaspora (aka outside NYC, and especially in areas with small Jewish populations) presents as more liberal and accommodating. Its a different story where they rule the roost. I hate to sound like Bill Clinton, but “I feel your pain” brother. My story is nothing like yours but there are similarities. Here’s the short story (I’ll try). About 10 years ago, after spending 25 years in church, I felt like God was telling me it was time to leave. There was no real problem and that was all we had ever known but there was an incredible dissatisfaction with where I was spiritually and I felt like I was drowning where I was attending. If it had been only me I might have dismissed it, but my wife felt the same thing and was in agreement about leaving when we did. I felt like I was supposed to study the early years of the “church” during the time of the apostles and first disciples. I didn’t set out to study anything Jewish, but I should have known better. It didn’t take long for us to begin to see the early believers functioned as a part of Judaism and were not part of a separate gentile led religion. God used a number of ways to teach me but the ministry that brought the most stability to our journey was the ministry of FFOZ, even though we didn’t always understand or completely agree with what they were presenting. But we were introduced to Messianic Judaism. We started doing Shabbat in our home and then the feast days and gradually introduced what we were learning with a few friends, many whom had also left church or were considering doing so because of the same dissatisfaction we had experienced. Out of that beginning we have “grown” to a fellowship of about 25-30 people who meet on Friday nights to welcome Shabbat and now also meet on Saturday afternoons to study the weekly Torah portions using FFOZ’s Torah Club material. I know you won’t be surprised to hear we are all gentiles but, mainly because of FFOZ, I don’t think we resemble most HR groups. We value and respect Jewish tradition and much of the rabbinic writings and realize we really need Jewish leadership if we are going to progress from where we are now. But right now, unless God provides, we are continuing to study and learn as we have for the past several years. We are in a fairly small town and there is no Messianic rabbi here that we know about. The closest is about 100 miles away and has a congregation there. Fast forward to last year’s Shavuot conference in Hudson, WI where we briefly saw you. My wife was with me this time as was a local pastor and his wife who we have known for a while. You may remember them. I had introduced this pastor to what we had learned and he seemed genuinely interested. He even went through the HaYesod program in our home and hosted a couple more in their home. He had to close his church due to some health problem his wife had and started attending another local church where he now does some teaching. On our trip he invited us to come visit the church they now attend. I had been through the first Tent of David seminar that Boaz held in Kansas City with a couple other guys . So I was familiar with the concept of going back into the church to introduce some of the concepts of Messianic Judaism. But I just couldn’t bring myself to do it. However, my wife accepted the invitation. The church is a Pentecostal church and my wife always enjoyed the energetic worship style and “gifts of the Spirit” as expressed in a church of this style. She jumped in with both feet and really enjoyed it. I didn’t discourage her, but the more she got involved in the church, the more she pulled away from what we have been doing for the past 10 years. I won’t go into the details, but this has been the most difficult year I have experienced since I have been a believer and a challenging time in our marriage. For 29 years of our 30 year marriage we have always been in unity spiritually. Not so much now. But I just can’t go back. Not totally. Last week I agreed, at the urging of my wife, to start going on Wednesday nights to a teaching on prayer done by the pastor who went with us to the conference. It’s a start I guess. But there are practices in the church that I just don’t feel comfortable participating in anymore, even though my faith journey began almost 35 years ago in a Pentecostal church. If it was a different style of church maybe I could do it. I just don’t agree with some of their interpretation of the gifts and how they are expressed. My view is more in line with what was presented at the “Gifts of the Spirit” conference last year. But I don’t think my wife or the pastor and his wife really understood or agreed with much of what was presented. They felt like some of the speakers were “putting down” the Pentecostal approach although I didn’t really see it that way. The main pastor (they have several in this church) is probably the youngest and he seems to respect me (according to my wife) even though he doesn’t understand where I’m coming from. My wife says he is interested in “Jewish things” and has actually made a trip to Israel because of his interest. But i don’t think he really understands Messianic Judaism (I could be wrong). God willing, tomorrow night I am going to give him a copy of the new book “Elementary Principles” by D. Thomas Lancaster and am going to offer to meet with him to discuss it if he so desires. We’ll see where that goes. James, I’m sorry my “short version” wasn’t so short but I just felt like I needed to tell someone what I have been dealing with. I really didn’t mean to co-opt you blog. And although your situation is unique to you, your wife and family, and the church you are attending, I knew you could relate in some ways. Like I said, “I feel your pain”. I will be praying for you and would appreciate prayers from you and any of your readers who would do so for my “situation”. @James, I understand you might not be invited to teach at a regular function, but what if you offered to teach a class in some area that would be interesting but not so threatening (such as biblical holidays or the study of a specific book) in a sense, just using the space at a time when they don’t normally meet, such as Wed. evening? Could you donate a stack of a specific book you see as helpful to the congregation – I don’t know how big it is. I asked pastor about a couple books I liked that I wanted to spread around, and he never got back to me, which, in the Asian community is like the saying, “It will be difficult,” for, “No way.” I thought the ladies might like, “Jesus Said to Her,” by Skip Moen, which has nothing offensive, and gets into the original language and Hebraic context. I felt it would be an alternative to IMNSHO, disgusting fluff like Lysa Terkheurst, and “women’s,” books that are usually some variant of how to lose weight or control our of course raging emotions, which is a distractions from doing anything worthwhile or important. @wcmotalmid has a story. I have a story. James has a story. The more I surf around the more of these stories I read. One or two people “randomly” searching for answers and finding themselves researching Messianic Judaism. Some are married to a Jew like you and @Sojourner. Some, like myself and @wcmotalmid, just felt lead to dig into a subject that opened a new world like The Matrix. James, this is happening all over. We might feel alone in our little communities, but there are so many of us “alone” that we aren’t. I agree with @chaya’s idea. That’s how my teaching gig started. I was attending a men’s study and always contributing more than others. The pastor asked me to teach. I facilitated a bad video series and was ready to quit because of my difference in beliefs. Also not very adept at hearing Gods voice over my own internal rambling, I just decided to offer to teach what I felt was important and allow the church to turn me down. They didn’t turn me down so here I am. I am very cautious and respectful of our differences, but I still present my understanding and allow discussion. You don’t know where this is leading you. God must have a plan if so many of us are scattered around the land, each with our own story. Sort of resembles how salt lands on food, doesn’t it? @James. I’m glad that you have a Ezer Kenegdo at home. (Skip Moen’s “Guardian Angel” is a great read as Chaya mentions). I understand wcmotalmid’s experience, since it is somehow similar to mine’s, except that a I’m going to a well established community (“church”) where the Pastor did have the guts to change his ways from evangelical to a new perspective based on Jewish view of Yeshua’s teachings. We as a community are following mainly FFOZ materials and being coached and guided by Bob Gorelik who is a close friend and colleague with Skip Moen, who by the way will be spending some time with us in El Salvador in a couple of weeks, which will be a great honor to have him here with us. We also get some teachings from Chabad and Breslev web sites, all being connected always with what Yeshua is teaching us. So I guess there are ways for us Gentiles to organize outside of a Messianic Jewish context being run not by Jewish members but by gentiles who really understand Jewish role and our role in the Kingdom. On the other hand, I have to fully agree on everyone about your humble way of sharing your inner struggles. I read yesterday “An arrogant person will only be willing to learn from someone he feels is befitting his honor. A humble person is only concerned with gaining Torah knowledge and will be grateful to learn new ideas even from one who has less overall knowledge than himself.” which is something all of us, Yeshua’s followers should have in mind all the time. Finally, I’m grateful to you for your clear statement when you say “When an Evangelical Christian reads that verse he or she thinks the Jews involved are saying that performing the mitzvot including the sacrifices in the Temple is what saves. But they were never meant to save. They are the conditions of the covenant relationship with God and that relationship in covenant, through faith, is what saves…. The “influencers” Paul refers to in his epistle to the Galatians and the Jews we hear from in Acts 15:1 weren’t saying that obeying the mitzvot and making the various sacrifices at the Temple would save the Gentile. They were saying that the Gentiles needed to be in a covenant relationship with God in order to be saved.” That is a central idea of Paul’s teachings very well explained and something to have in hand when explaining things to others. PS: How is your Dad doing? I hope he’s getting better. Best wishes! @Chaya: Getting my wife to read a book written by a Christian theologian is probably not going to happen. I don’t know if anyone could truly “indoctrinate” my wife. She has a strong will and very much charts her own course. If she were that influenced by the Chabad Rabbi, then I suspect she’d be much more observant than she is (which is to say, she’s only mildly observant of some of the mitzvot). That said, since she was raised in an interfaith marriage (actually “faith” isn’t the right word since neither of her parents was religious) and didn’t even know she was Jewish until she went to university, I think she may feel that she has to build her “cred” in the Jewish community and to maintain it. Thus, she buys off on certain things while remaining staunchly against anything to do with Christianity. I think being selected to teach anything at church is pretty must not going to happen. Pastor is very strict on who he allows to teach and preach, including his associate Pastors. He knows what I think and how I think, and I can’t see how my perspective could be “safely” applied to any Biblical topic. If people ask me questions, I’m not going to lie. @Mel: Thanks. Yeah. Once you start down this path, there’s no going back. @Terry: Yes, there actually are a lot of people out there just like us. The fact that Rabbi David Rudolph created a website just for us called MessianicGentiles.com seems to indicate the need to unify those of us who can only reach each other over the Internet. I’d love to offer a course (either one I created or something offered by FFOZ) for Christians who are open to expanding their understanding on the true Jewish nature of our faith, but I really don’t think Pastor would go for it. I suppose I could create something independent of the church, but I don’t want to be accused of “poaching” by covertly inviting church people to such a class. Also, there’s already a bit of dynamic tension at home over me going to church. I talked with my wife just recently about this. Although I think it bothers her that I go to church and, in the past, to the FFOZ Shavuot conferences, she also wants me to have fellowship with like-minded people. I know it’s sort of embarrassing to be Jewish and have her Jewish community know she’s married to a Christian, but on the other hand, she admitted that the people in the Jewish community who are closest to her seem understanding (although I don’t know how far I’d push that … certainly showing up in their midst would likely be a problem). If I started independently teaching a Christian Bible study, it might be seen as attending church squared. @Alfredo: First off, my Dad is fine. Thanks for asking. His biggest issue right now is putting weight back on since he lost so much while he was sick. Mom and Dad will be visiting us this coming weekend, so we’re all looking forward to that. My understanding is that there are churches out there where the Pastor was able to lead the congregation in a new direction and are partaking of materials such as those produced by FFOZ, but it’s pretty much hit and miss. I’m not about to go randomly “church hopping” in our community in the hopes of stumbling across a group of Christians who might be willing to learn about Messianic Judaism. If I assume that each church experience would take twelve to eighteen months just for me to establish enough of a relationship with the congregation and Pastor to figure out if they’d be open to such teachings, that’s a heavy investment of time and energy. Even if one out of every five churches were open (and I doubt I’d find that many) then that’s a five to seven year commitment with no guarantees. I made a decision early on that if this church situation didn’t develop into a “home,” I wasn’t going to go “shopping” anymore. I was really convinced that God led me to this church. If that’s really His intension, then it’s difficult to see. If I’ve made a mistake, then it was a big one. Hi James. I would not say that anything that we do about attending one church or another is a mistake. With my wife, we have understood that in each place we have gone to learn about G-d has been a blessing, and that we are always in search for more. If we have reach a certain level of learning and we can’t get no more from there, we have asked G-d to lead us to another congregation. We have even had a long time (9 months) without going to any church because of that issue. Now, after those 9 months and having reached the Jewish view of Yeshua’s teaching, we feel somehow confident that we have found our final destination, since we both think there is so much to learn from Judaism, and we are sure that we will not be able to get all in our lifetime, but we see it as an investment for our children to be in this path of learning. I’m glad to hear about your Dad and Mom, and that you will have them both at home this weekend. Say hello to both of them, from a friend in El Salvador! I don’t know that we should regret our stops along the journey, or that they are just temporary encampments, like our ancestors journey through the desert. Well, maybe “mistake” was a poor choice of words on my part. I just hate feeling like I’ve hit a brick wall. Bill Bullock said something like that, how the cloud moved and sometimes we stay at a place that was intended as a temporary oasis. Perhaps a place no longer offers the nurture, or you no longer have anything to offer there? I am preaching to myself here. I want to give it some time, Chaya. Anyway, tomorrow’s “morning meditation” is sort of a “part 2” to this saga. As been stated by others, this blog in large part reflects my own experience in the church. However, while one must remain vigilant against developing an Elijah complex, I remain convinced there is love and value in lending a dissenting voice to the church’s exposition of scripture. The “me” of 12 years ago would have been that person disagreeing with you. It’s taken several years of “slow cooking” to undo 30 years of being seeped in the Baptist way (though I still attend & teach). I,too, used to love to quote MacArthur – but now only as an example of how even the most scholarly can be totally off base. Hang in there & leave it to the Holy Spirit to do the convicting. You’re probably having more of an impact than you may realize. Thanks for the encouragement, Michael and Jim. “Part 2” of this “meditation” publishes early tomorrow morning. Maybe things will be looking up. I have ‘catching up’ to do. A big ‘ME TOO!’ To all the above, yes, once you get an understanding of the errors and the more appropriate correct understanding, there is no going back. I too, have quit attending church. However, surfing the internet, even among HR; MG/MJ, TwoHouse teachings…etc I am discovering a smorgasbord in this camp as well. Yet, I know without a doubt the L-rd has been leading me. Before I had the internet, on my own reading through the Bible the similarities and parallels between the Old and New begin to ‘jump out’ at me. When I read where Paul commend’s Timothy’s faith that was first in his mother and grandmother I realized that had to be Jewish. That is one example where in my reading things would ‘jump out at me’ and I would ponder. I became convicted a very long time ago about my children. There was a poem about “My Daddy’s Bible” . The poem gives you the feeling how precious the Bible was to the son, and how he looked at all the verses underlined and noted. What if you have more than one child? Who gets to treasure your Bible? At that thought I decided to read through a Bible and mark it with each child in mind. Guess who began to ‘grow’ as a child? I have got off track, and need to get back to it. I have four more to go. Thank you, James, for what you have offered here. As you can see there are many of us that feel lonely out here in this wilderness.